We love audiobooks here at The Bibliosanctum for a variety of reasons from distraction while doing chores to just enjoying a good story being read by an awesome narrator. We also love to undertake a good challenge, especially when it coincides with our love of reading. This will be The Bibliosanctum’s fourth year participating in the event, and we’re excited to see where this year’s challenge takes us! Hot Listens and the Caffeinated Book Reviewer are hosting the event, which is now in its sixth year of running. Make sure to check out the sign-up page for this year’s challenge, and also head on over to the Goodreads group. Runs January 1, 2018 – December 31, 2018. You can join at anytime. The goal is to find a new love for audios or to outdo yourself by listening to more audios in 2018 than you did in 2017. Updates plus a giveaway will be posted twice during the year. First update in June 30, 2018 and last update in December 15, 2018. Our progress reports sort of just fell by the wayside last year, but rest assured I am always listening to audiobooks. Hence, the first part of my challenge will involve doing a better job at remembering to post updates at the end of every quarter! As for listening goals, I’m going to do what I always do: set a short term goal of My Precious, with the long term goal of going for broke with Marathoner. I listened to just shy of 50 audiobooks last year (my total was 49…so close!) so I know it’s doable if I simply push myself a little harder. Do you listen to audiobooks? 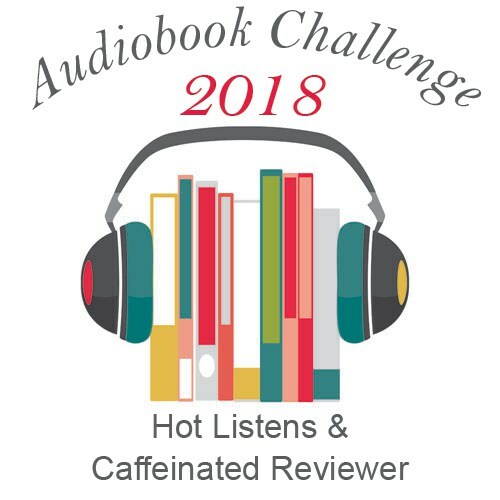 Will you try doing the audiobook challenge this year? Let us know your thoughts! Good luck on your challenge! 50 seems like a super high goal to me, but if you did 49 last year then it should be doable for you 🙂 I have sort of an “unofficial” goal to listen to a few audiobooks this year. I didn’t listen to any last year but I want to start listening when I am in the car. I am not going to join the challenge though because I don’t want to make it official haha. I know thats weird and doesn’t make a lot of sense, but I do better when I want to do things not when I feel like I have to do things. Ahhh, audiobooks! I always say, every year, that I’m going to try at least one and see how it goes. I started going to the gym so I might actually start getting audiobooks to listen to as I work out. Best of luck with the challenge! Dang! You were one away! I actually listened to an audio just a few weeks ago! My girlfriend and I drove (by that, I mean I drove both way the whole time) 😉 from Oregon to Cali and we listen to Aziz Ansari’s Modern Romance. I should perhaps do a challenge – the newbie one although I like the idea of being a weekend warrior. The rate you’ve been listening, I’m sure you can reach that goal!